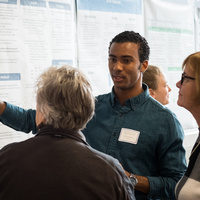 The 12th Annual Marking Excellence is an opportunity for undergraduate students to showcase their independent research and creative projects. Following in the rich tradition of this annual event, broad participation from all areas of undergraduate academics is encouraged. There will be posters on display and oral presentations. Students will be available to discuss their work during Common Hour. A light reception will be included.